You know you need to do something different to attract clients online but can’t find a marketing method you like that also works? Are you ready to bring your heart-felt business to the world but your brand is bland and your marketing doesn’t match your brilliance? Are you on social networks like Facebook, Twitter and LinkedIn but you have no clue how to use them attractively for your business? I have helped hundreds of people like you to create an authentic marketing plan that comes from the heart, emphasizes what’s most important, and magically attracts perfect customers online. You can’t hide any longer. You know you have an important message, product, or service that will make the world a better place. That kind of marketing just isn’t a match for your personality and message, and anyway, you can’t stomach it long enough to give it a try. Maybe you have felt like giving up on marketing altogether, but I want to tell you there’s another way, a whole new paradigm for marketing that comes from the heart, promotes what’s most important to you, and attracts your most perfect customers online. Does Any of the Following Sound All Too Familiar? because it doesn’t really reflect who you are. but haven’t figured out how to integrate them into your marketing efforts. but that’s not working as well as it used to. You’ve been told so many things by marketing efforts that you don’t know which is the best next step for YOU. You wish you had a marketing plan that was fun and fulfilling as well as attractive and effective! You have a variety of offerings that make sense to you, but you have no clue how to market them cohesively. When people ask you what you do, you don’t know what to say to perk their interest to learn more. with the right words to attract the right people who really want and need your unique gifts. Your perfect customers are seeking you right now. So how long are you going to keep them waiting? Let me tell you, you don’t have to wait a moment more. I’m going to show you step-by-step how to create a client attraction breakthrough in the coming year just by being your shiny, sparkling self. I’ll show you what to do and where to do it so that you become a magical magnet for the perfect customers that will bring your business to a whole new level. They will be attracted to you from across the globe with your new authentic online marketing. I knew there was only one place to start my career: New York City. Back in the day, I was full of high aspirations, aspirations which crumbled when I learned the key ingredients to successful marketing the traditional way: they are hype, brainwashing, and outright lies! My intuitive, sensitive, artistic self rebelled and I left New York, headed west toward a whole new concept of what life andmarketingcould be about.After studying Multi-Media for several years in the midwest and receiving my MFA, I finally reached California, “where the leash is just a little bit longer.”I soon learned about the Law of Attraction, how “Like Attracts Like” and how our focused thoughts and intentions manifest our reality. I started using it in my personal life, and in my business. At the same time I learned how to design websites and use Internet marketing. This combination proved to be enormously powerful. I started consciously using the Law of Attraction in my business, and I noticed big shifts in my life, especially in the quality of people I was attracting. 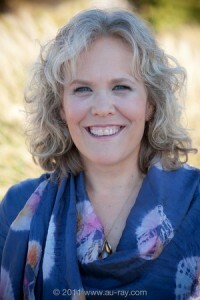 That’s when I started attracting clients who are in total alignment with my life purpose, clients like Cafe Gratitude (the raw food restaurant I mentioned above), Julia Butterfly Hill, and dozens of conscious entrepreneurs like you from across the globe who have a passion to share with the world. I have continued to grow my business even through the shifting economy, precisely because with Attraction-Based Internet Marketing, I consistently attract perfect customers from across the country and even overseas. I’d love to show you how I do this, and how you can stand out in this new global economy. your brand, your marketing, and in your life? I have developed a new 12-Month MAGICAL MARKETING MASTERY Program designed to help you create a sustainable, fun, and fulfilling marketing plan that reflects your true purpose and attracts your most perfect customers from all over the world. And I promise you, this is not one of those course offerings where you cannot ask a question or get feedback! I hate those kinds of programs because I always have questions. In every one of my classes and webinars I hold open space for your questions and feedback. I want you to come out of my courses with a clear plan of action that you really want to follow, because it’s all about your life path! That’s why I include so much access to me with my classes. 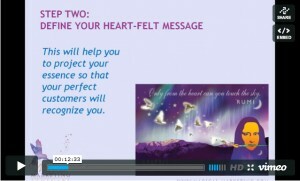 The MAGICAL MARKETING MASTERY Program is a personalized group mentorship program that gives you the attractive mindset, marketing strategy, coaching, education, support and training you need to finally get your heart-felt message to the world and grow your business with the right clients who really get you and know they want to work with you. This program is designed to give you all the benefits of private marketing consulting and guidance within a group webinar format … and without the private consulting price tag. “Since attending Julia’s classes my business has grown 30% and this month it will be 50%. I am attracting more business than ever, and Yipee! I get to be me through the whole process! The success results are dramatic for me. Enthusiasm is key and Julia pointed the direction. Out of Over 2 Million for My Keywords! During Julia’s Social Networking classes I had created a Blogger blog, a WordPress blog and a Hubpages hub, and got to page one of Google. Now, lo and behold I have 2 page one positions out of over 2.6 million on Google when the search is for “leasing lawyer” which is just what I am and want to promote. Create and Effective Strategic Attraction Plan that Makes You into a Magical Magnet for Your Most Perfect Customers Clarify What Makes You Unique and Magical and Project a Consistent Wildly Attractive BrandDevelop a Powerful Online Presence that Authentically Projects your Personality, Your Purpose and Your Unique Offerings and Ongoingly Attracts Customers from Near and Far! Finally Discover a Fun and Fulfilling Way to Market Your Business. Throughout the program you will be empowered to develop a habit of Attraction-Based Thinking using the Strategic Attraction Planning Process. This will help you begin to consistently attract the people and resources to you that bring you forward on your life path and help you grow your business quickly and magically. Lack of focus and clarity on exactly who you want to attract and how you are going to attract is vital to an effectively magical online marketing program. Every part of this program is designed to help you clarify your brand and create consistent marketing that magically attracts perfect customers to you. Learn how to share your purpose in a way that promotes everything you’re up to seamlessly and attracts your most perfect customers. The key to a fulfilling marketing plan is creating a compelling, unique message that is authentic and comes directly from the heart. During this program you will create a fun and fulfilling Blogging & Social Networking plan that attracts perfect customers while you uplift the world. Learn the latest strategies on networks like Twitter, Facebook and Linked In while discovering magical ways to get to page one of Google just by sharing yourself authentically. You will develop a do-able plan for expanding your networks with people who are a perfect match for your offering, all the while sharing your purpose with the world. We are constantly testing new technology to discover the best tools for reaching a global audience with your unique gifts and talents. This program will empower you to explore and learn new technology so you interact with potential clients across the globe without ever leaving your office. My programs are always “High Touch” because I know when I’m learning something new, I need to ask questions and get direct access to the course leader. Each 90-minute monthly webinar ends with a Q&A so you can ask questions of me live. You also have access to me and a community of like-minded entrepreneurs through the private online forum. There are ample opportunities to receive valuable feedback about your marketing ideas from people in your Attraction Community. 40 Day Program to develop a habit of attraction-based thinking. Master the Strategic Attraction Planning Process to become a magnet for the people and experiences you want to attract. Create a breakthrough in client-attraction fast. Includes Audio & Video Lessons plus 40 Days of Tips Delivered to your Email. Share what is most important to you in your brand to create a unique and deeply authentic business identity. Learn how to develop a compelling brand statement from your Attraction Plan and apply it to a marketing funnel designed to attract soul-aligned customers. A Video Intensive to create a fun and fulfilling Social Networking plan that attracts perfect customers while you uplift the world. Learn the latest strategies on networks like Twitter, Facebook and Linked In while discovering magical ways to get to page one of Google just by sharing yourself authentically. You will develop a do-able plan for expanding your networks with people who are a perfect match for your offering, all the while sharing your purpose with the world. fun, fulfilling and sustainable for you! If you pay for the whole 12 months upfront, the cost is $1,111. Or, you can pay in monthly installments of only $111. For most people, that is less than the value one new customer brings in a year’s time. So if you attracted JUST ONE new client from what you learn in this program, you would be ahead. Many people who have DILIGENTLY APPLIED THIS APPROACH to their marketing have increased their client attraction by as much as 100% or more. I Increased My DVD Sales by 600%! When I signed on for Julia’s webinar series, I thought I was going to learn about the secrets of marketing, I didn’t realize I would also be discovering secrets about myself. What a journey! It’s been such a paradigm shift for me. After incorporating more honesty about my passion into my website, my blogs and even into more traditional marketing strategies like promotional letters to a mailing list or cold call email inquiries, I sold more DVDs in one month than I did in the last three years combined. It’s a 600% increase! I’m also getting more interest in my film screening presentations with less effort. Thanks to Julia and our great Attraction Community. Bonus #1: An invitation to the next Magical Marketing Live event (planning for July 2012). Bonus #2: Lifetime membership to the Magical Marketing Inner Circle, which gives you monthly live Q&A classes with Julia, advanced notice and discounts on upcoming programs and services. Bonus #3: Access to a private online forum so you can mastermind with your peers, form joint-venture partnerships and even find clients who need your services! Bonus #5: Video and Audio Replays from Julia’s extensive archive of past webinars made available to participants only. to kick off your year with power, magic and ease! My Marketing and Attract Perfect Customers Online! Client Attraction Breakthrough: A special class designed to help me develop a habit of attraction-based thinking so I become an irresistable client-magnet. Plus … 5 Bonus Gifts! Bonus #1: An invitation to the next Magical Marketing Live event. with Julia to jump start my program. I understand and agree that Magical Marketing Mastery webinar program is designed as a full one-year curriculum and I am committing to invest in the entire program. I further understand and agree that if, for any reason, I choose to remove or cancel myself from this program prior to the end of the program dates, I am obligated to pay or continue paying any outstanding balance(s) as indicated on the enrollment form if I have selected the monthly installment option. If I’m paying in full, I understand no refunds will be issued. I’m assured this online transaction is 100% secure and after my information is received I will get an electronic receipt and instructions on accessing the course resources. I’m ready to reserve my spot in the Magical Marketing Mastery Program Now by choosing one of the two options below. (707) 823-3316 and we’ll be happy to answer your questions.